Manjushri the Bodhisattva of Wisdom, normally holds a sword in one hand, to cut off all delusion, and a Prajnaparamita Wisdom text in the other. Prajnaparamita (Perfection of Wisdom) texts, are said to be the closest Buddhists ever got to putting truth (impossible task) into words. Manjushri, as meditation experience, is a powerful image representing ever-present wisdom plus the sword of awareness to cut off all delusion. Chinese, Wen Shu Shi Li / Wenshu; Sanskrit, Manjushri; Tibetan, Jam-dpal / Jamyang; Japanese, Monju; and Mongol, Manchushri. And the Lord [Buddha] said again to Manjushri, the Crown Prince: On what grounds do you wish to fully know the utmost, right and perfect enlightenment? Manjushri: If I had set out for enlightenment, then I would wish to fully know it. But I do not strive after enlightenment, because enlightenment is just the same thing as this Manjushri, the Crown Prince. Manjushri: If I were one who courses in the baseless, that would be equivalent to my having taken hold of a dharma. Manjushri: I do, O Lord. .. Saradvatiputra: “Buddha,” Manjushri, of what is that a synonym? Manjushri: Of what then is the term “self” a synonym? One speaks of a Buddha where definitions fail. As it is not easy to understand what the word “self” means, so it is also not easy to understand what the word “Buddha” means. Manjushri: So it is, Rev. Saradvatiputra. The word “self” denotes the same thing which the word “Buddha” denotes. What is here called “the Buddha” is synonymous with “the trackless” (apada; also: wordless). Because it cannot easily be intimated by words (vak). It is not easy to define speech (vak), how much more so the Buddha! You want to know, Rev. Saradvatiputra, how one can describe the Buddha. (222) He is the one who is not in full possession of enlightenment, who has not been produced, who will not be stopped, who is not endowed with any dharma, of whom there is not track, who is undifferentiated, and just equivalent to the trackless. Those who seek for the Tathagata should seek for the self. 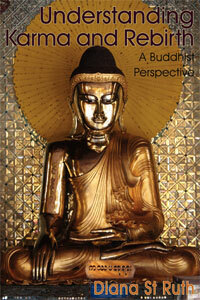 For “self” and “Buddha” are synonymous. 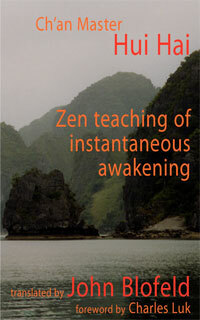 Just as the self does absolutely not exist, and cannot be apprehended, so also the Buddha. As the self cannot be expressed by any dharma, so also the Buddha. One speaks of a Buddha where definitions fail. As it is not easy to understand what the word “self” means, so it is (223) also not easy to understand what the word “Buddha” means. Extract from: Perfection of Wisdom in 700 Lines. really a comment, but an unrelated question. Do current nuns have the same status and monks? Did Buddha give women followers the same status as his monk disciples? Just a simple reply. I am associated with a Japanese order which has a female as the Head of the Order. I have also heard of other temples and orders in Japan which have females as either the head or high ranking monks.I can only speak of my own experience, and I have never heard a reference to Guatama Buddha saying anything which would prohibit a female from practice or achievement. Prajnaparamita speaks to nonself/ nonjudment indiscriminant and no view. I hope this helps with your concerns. Please send more Dhamma articles these things. Interesting to consider in light of the Western emphasis on individualism, self-seeking, and self-fulfillment. Before we are born we are a self, we are the Buddha. What need to seek for what is already? What is the source for the story about Morinaga Soko Roshi? 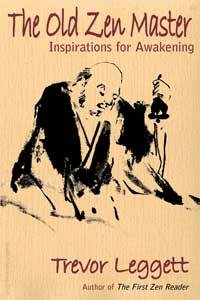 Morinaga Roshi told the story during a Zen sesshin in England. Bodhisattva Manjushree has quite a great imprint in the history of Nepalese Buddhism. The tale of Manjushree is also written in the Swayambhu Purana. 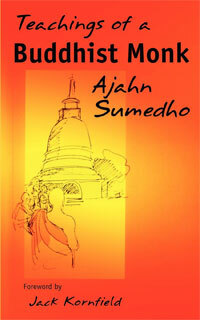 The tale about how Manjushree created the Swayambhunath Stupa in Kathmandu, nepal. Just before the death of Lord Buddha, when Ananda was worried whether he could become arahant or not. Seeing worried Ananda, Lord Buddha asked Ananda to ask the smiling Manjushree about the reason behind his true smile even though Lord Buddha was attaining Pari Nirvana. Then Manjushree said that Lord Buddha was going to be free from the limitation of the mortal body and was going to be part of something bigger i.e. space, universe itself and that was the reason for Manjushree smile. Ananda was free from worry after then. Thank so much, Om Ah Ra Pa Tsa Na Dhi.